It’s undeniable that those fortunate enough to call any of the five boroughs of New York City home all have one thing in common: They’re tough as nails. It’s this base level of tenacity, combined with steadfast bravery and dedication that makes the Fire Department of New York a step above the rest. The gear that dresses New York’s bravest has to be as functional as it is sharp, and who better to help bring that concept to life then luxury apparel brand Canada Goose, whose loyal consumers rely on the company’s products when they need to embody that resilient mentality against the elements — especially in the wintertime! 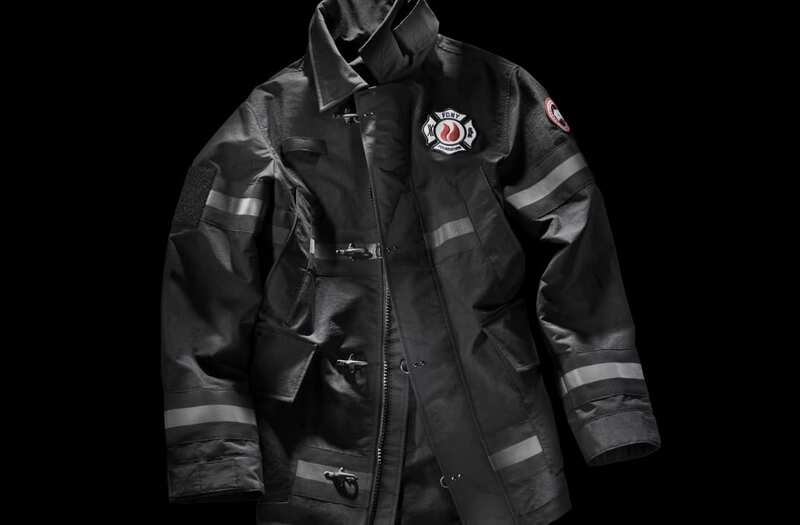 Canada Goose’s newest launch, 'The Bravest Coat', provides all of the protection and quality that has become the brand’s standard, while simultaneously supporting the organization whose standard has become synonymous with preventative protection, bravery and quality — The FDNY Foundation. “I think there’s an extraordinarily high awareness to what’s on-brand, on-trend and there’s also a recognition of quality and craftsmanship where there are no excuses about what the best products are. And it’s as cold in New York City as it is in Toronto in the wintertime, it’s chilly outside! 'The Bravest Coat' is certainly a smart and meaningful buy for New Yorkers and non-residents that want to support the city and all it stands for: 100 percent of the proceeds from each $695 coat will go straight to the FDNY Foundation, no strings attached and no deductions. Each unisex coat boasts patches that represent five different local firehouses around the city, designed by local firemen and women themselves. ‘The Bravest Coat’ is available for purchase in retail stores in New York City (of course) as well as Toronto, London and Tokyo. Those wishing to purchase the coat online in order to support the FDNY Foundation can do so here.